I fell in love with this whimsical owl in Malaysia and she’s been staring at me for nearly a year. 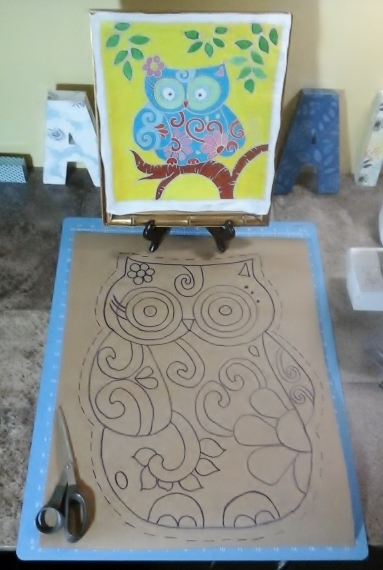 I’m the first to admit that I am not a painter, and when I tried my hand at the batik technique I was hooked. 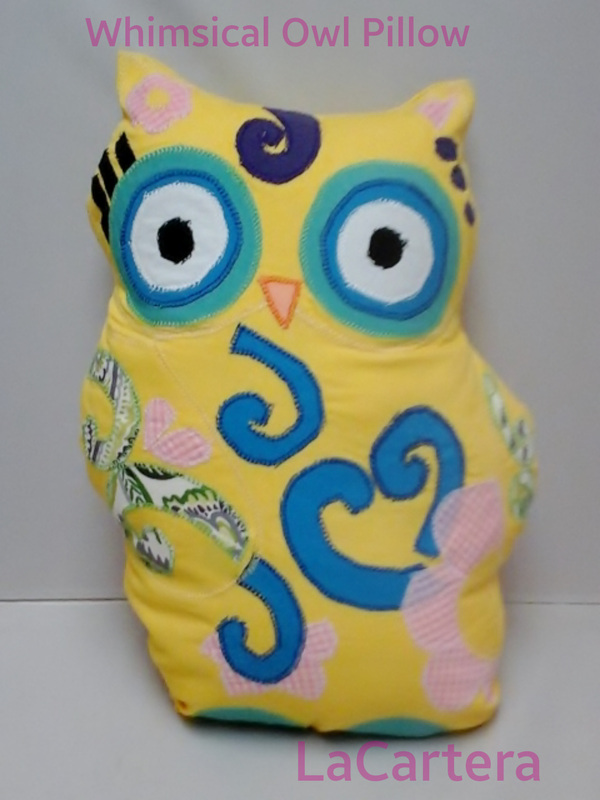 So when I was asked to create an owl pillow for a child I jumped at the chance to use my design. 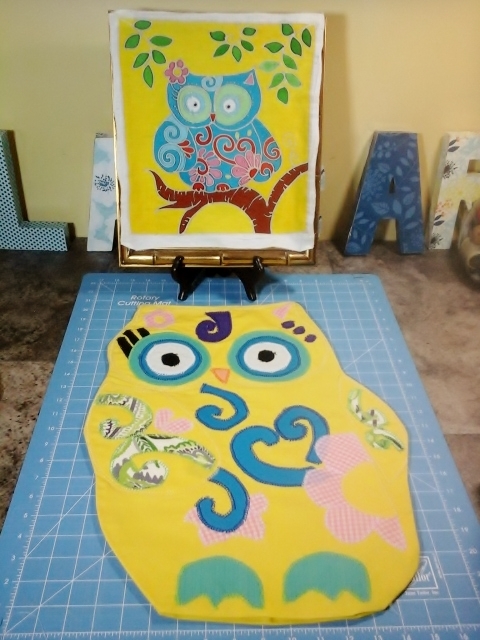 After I created the pattern I decided to cut out the designs to create an applique design for my whimsical owl pillow. Well I think it turned out pretty well. I think I’ll make a whimsical elephant next. Next Post Sewing Tip- Why is the red ball on one end of the seam ripper? 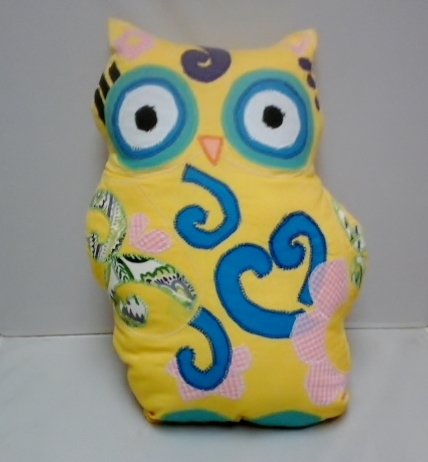 I understand owl pillows are for night time use only and do a lot of screeching if there’s a mouse around.